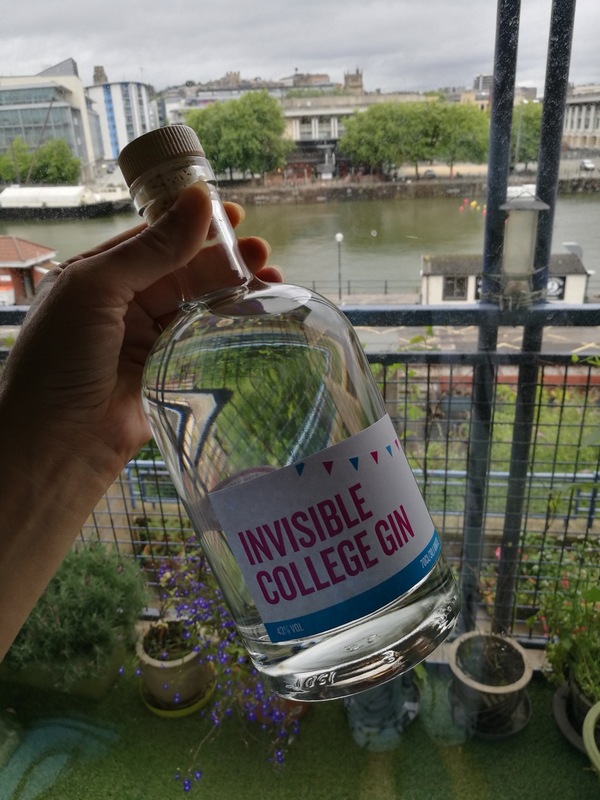 Invisible College Gin Now Available! A bespoke bottle of gin, distilled by Adnams to include my preferred botanicals and named after my YA trilogy! So how did this come to be produced? 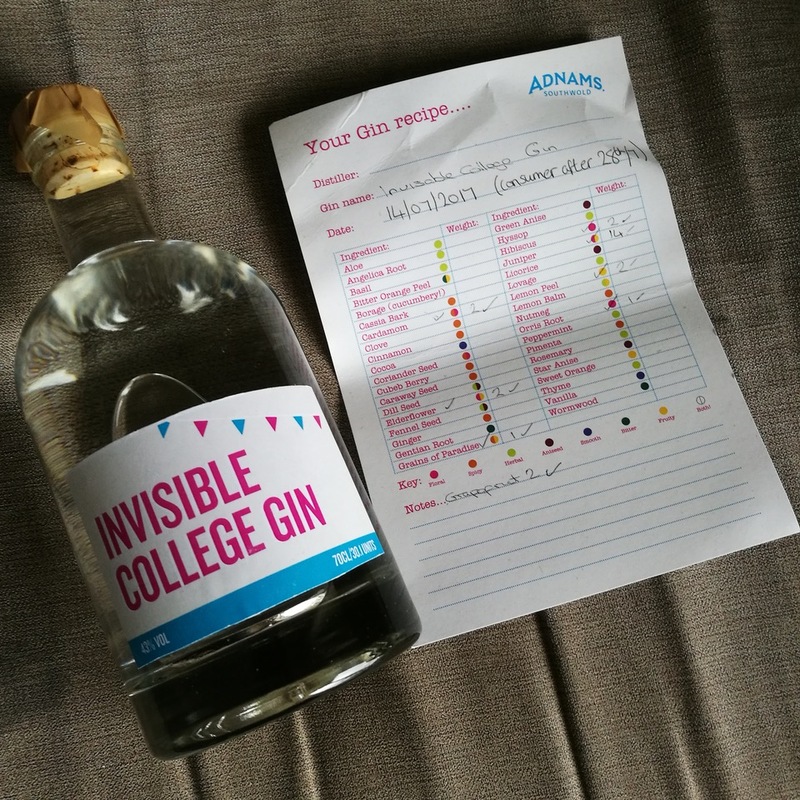 My daughter Emily, proprietor of the respected and popular Bristol Bites food blog, entered a competition to create your own gin…and she was the winner. This is the way it works. 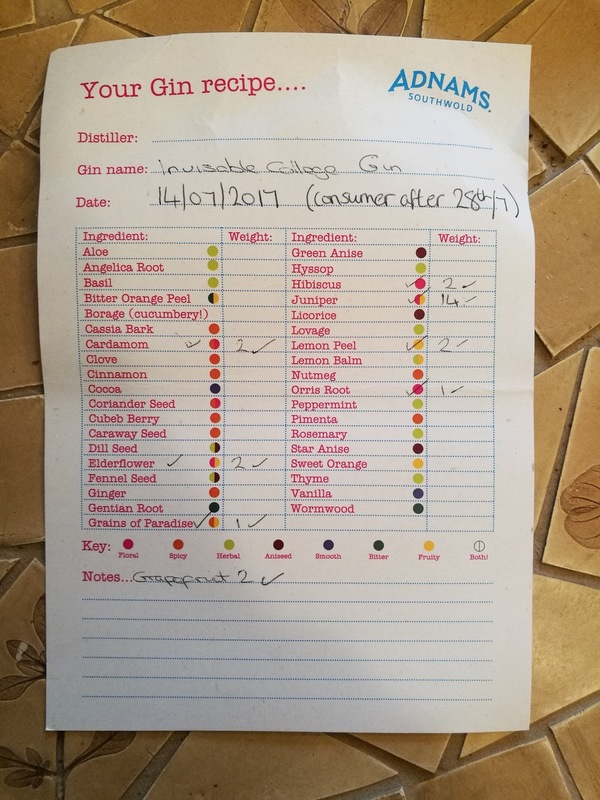 An Adnams Gin Maker guides you through the process of making your own gin, helping you to select your own choice of botanicals from the range provided, through to distillation, then naming and labelling your personal bottle. In Emily’s case, the process was conducted over Skype. I am now faced with the dilemma of drinking it or keeping it unopened, as a treasured memento. It wouldn’t be the same as an empty bottle. 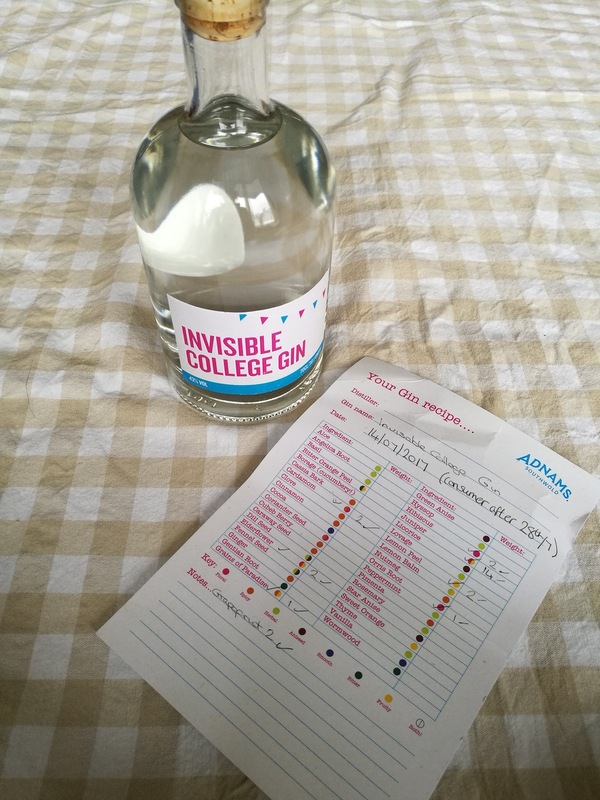 There is always the option of visiting the Adnams distillery in Southwold, where the Adnams Make Your Own Gin experience costs £95 per person and includes the gin making session with one of their Gin Makers and a 70cl bottle of your own gin to take home. This would make a unique gift, and not only for authors. Well, Southwold is always a pleasant place to visit and stay for a couple of days, so that is a possibility. Thank you Emily, and thank you Adnams.